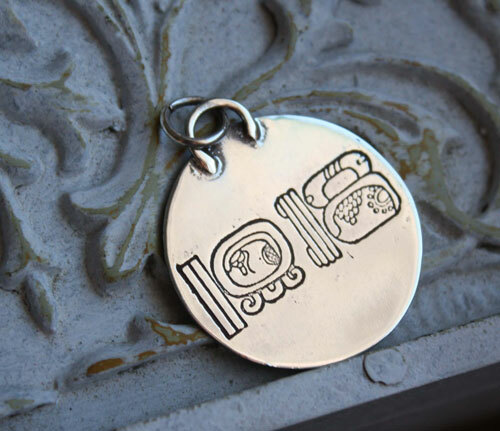 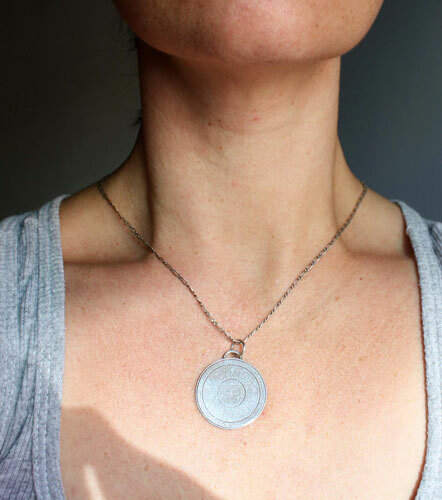 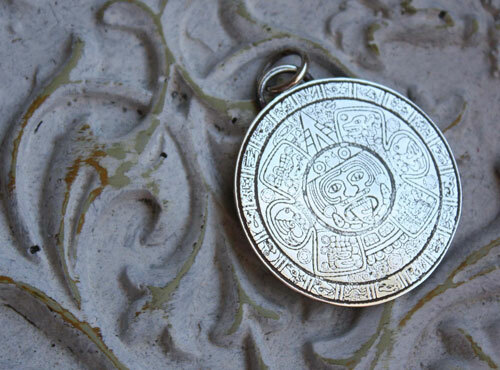 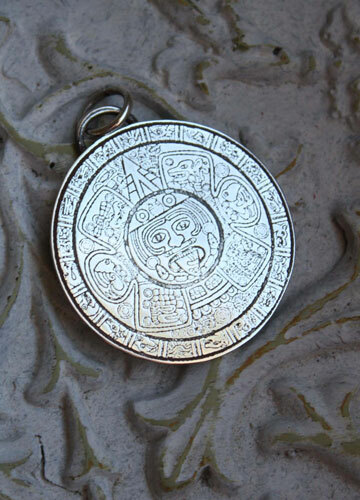 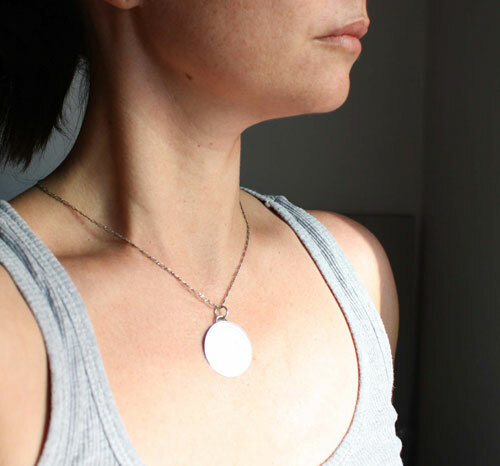 Mesoamerica is a pendant inspired by the Aztec calendar of which you can see a central detail that was engraved on the front. 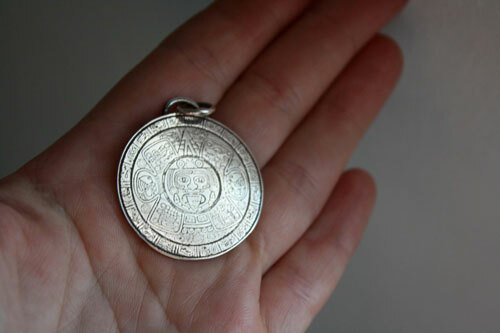 On the back was engraved a date calculated according to the tzolkin and haab calendars. 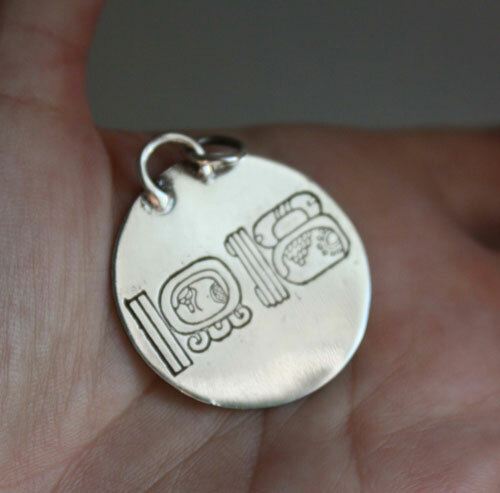 This pendant was personalized according to a specific date. 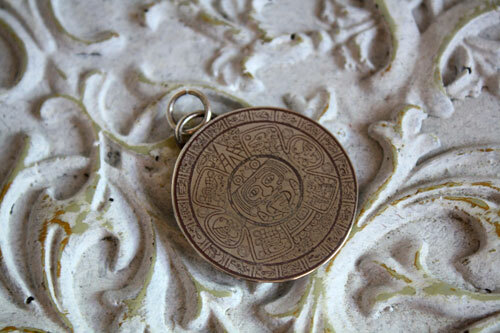 If you would like a pendant inspired with the same style, do not hesitate to contact us for a custom order.